Below are a number of the dinosaurs I've sculpted over the years. I've loved dinosaurs since I was a small boy, and I've done my best to represent them as accurately as possible. 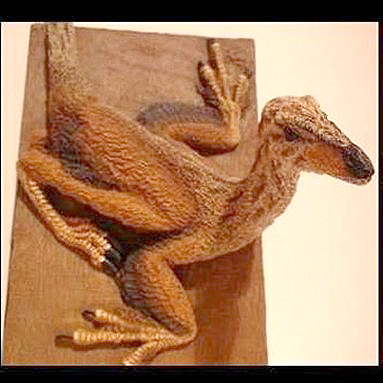 Of course, the science is constantly changing, and dinosaur art can be outdated very quickly. But that just gives me the excuse to sculpt a new dinosaur!. 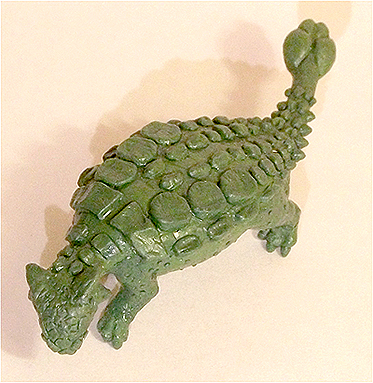 1/100th scale Ankylosaurus magniventris, sculpted for Khurusan Miniatures. 1/300th scale Triceratops and Allosaurus, sculpted for MicroWorld Games. 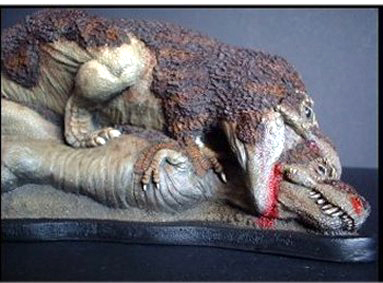 1/100th scale Tyrannosaurus, sculpted for Khurusan Miniatures. 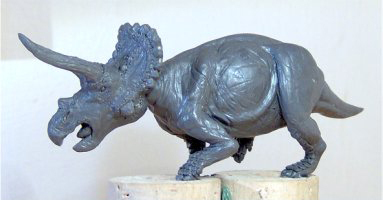 1/100th scale Triceratops, sculpted for Khurusan Miniatures. 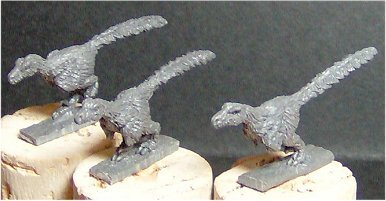 1/100th scale Deinonychus, sculpted for Khurusan Miniatures. One of the largest known carnivorous dinosaurs, Giganotosaurus carolinii. This is a 1/50th scale sculpt, and is sold through Link and Pin Hobbies. 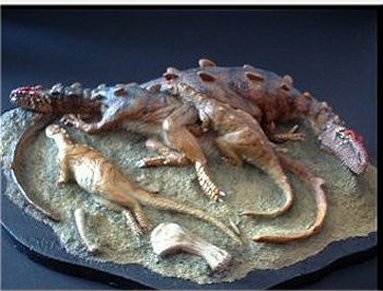 This is a 1/35th scale reconstruction of an Allosaurus fragilis family group, based on research by Dr R Bakker. 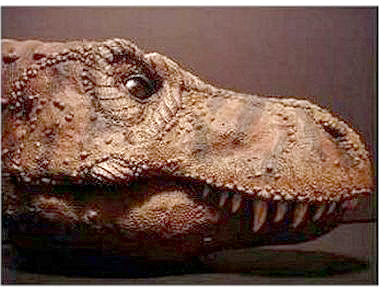 A 1/10th scale bust of everyone's favourite theropod, Tyrannosaurus rex; released by PaleoStudio. 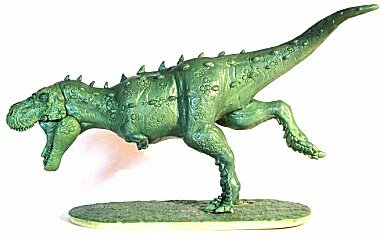 1/35th scale fighting Tyrannosaurus - the first sculptural reconstruction to highlight the possibility of feathering in the Tyrannosauridae. 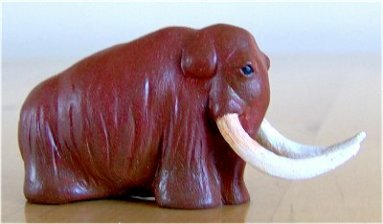 A small scale caricature of a Woolly Mammoth. 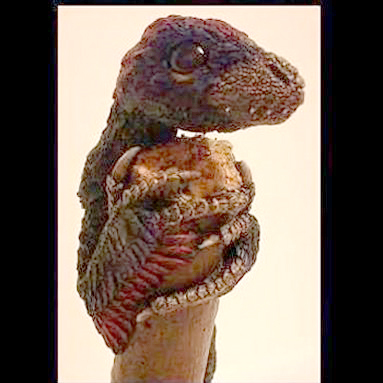 A life-size model of Microraptor zhaoianus released by Palaeoproductions. 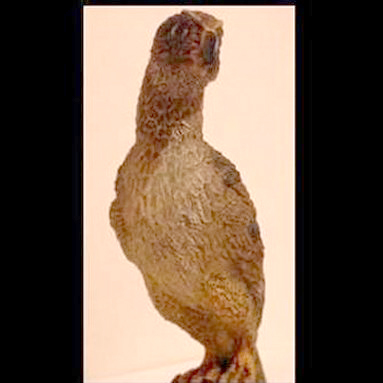 A life-size model of Scansoriopteryx heilmanni released by Palaeoproductions. 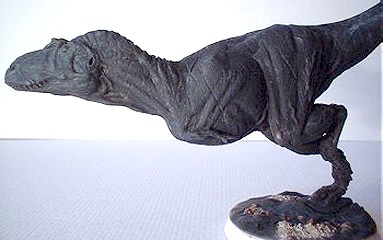 A life-size model of Bolouchia zhengi released by Palaeoproductions. 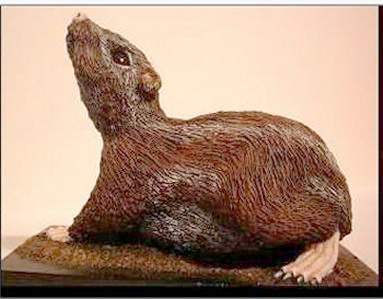 A life-size model of Eomaia scansoria released by Palaeoproductions. 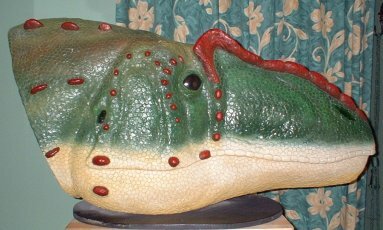 A life-size model of the head of Allosaurus fragilis, foamcore with Milliput epoxy putty, finished in weatherproof acrylic.